The Open Summit is the final event of the project “EUth - Tools and Tips for Mobile and Digital Youth Participation in and across Europe”. to set up attractive participation projects. The solution has been created within the EUth project: OPIN, an all-in-one proven digital and mobile participation toolbox. 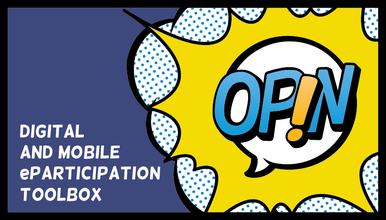 The youth eParticipation toolbox OPIN combines a multilingual online-platform with a mobile application. It offers a wide range of assistance for initiators of participation processes. The features of OPIN help consulting youth during agenda-setting or idea collection, enable to collectively draft, comment and vote on proposals or position papers. Additionally, the platform offers a mapping tool and is connected to a mobile polling tool that facilitates reaching youngsters within a certain geographical area. And the best: Online and offline phases can be combined into a multi-tier participation process. 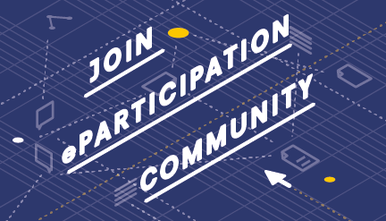 Throughout the project, the experiences in the field of youth eParticipation have been collected, researched and transformed into practical tips and guidelines for successful eParticipation processes which are now available on the platform. The project follows a “design by participation” approach: pilot programmes in different contexts have been testing OPIN and providing feedback for improvements in one of three launches of the toolbox. 10 new pilots have started using OPIN in 2017 and are striving to enrich good practices in digital youth engagement. The project coordinator is Nexus Institute for Cooperation Management and Interdisciplinary Research (Germany). Among the partners involved are Alfstore (France), AEGEE – European Students’ Forum (Belgium), Development Centre of the Heart of Slovenia (Slovenia), European Youth Information and Counselling Agency ERYICA (Luxembourg), IJAB – International Youth Service of the Federal Republic of Germany (Germany), Institute of Studies for the Integration of Systems (Italy), Liquid Democracy e.V. (Germany), Missions Publiques (France), Royal Institute of Technology KTH (Sweden) and the Danish Board of Technology Foundation DBT (Denmark). More on the project, its partners and blog on project progress.